Find the perfect location for your celebration with this list of our favorite wedding venues in El Paso, TX. 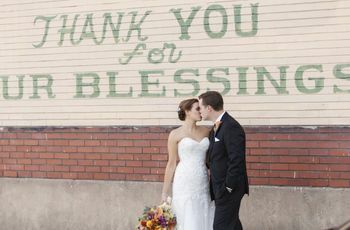 West Texas couples searching for wedding venues in El Paso, TX and surrounding areas have a ton of beautiful options. From romantic flower gardens to dairy farms where friendly livestock might photobomb your family portraits, wedding venues in this region are far from cookie-cutter. 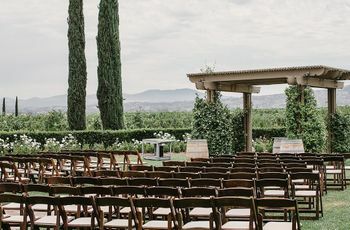 We’ve culled our favorite Paso del Norte venues to offer options for every wedding style: rustic to romantic; glamorous to modern. 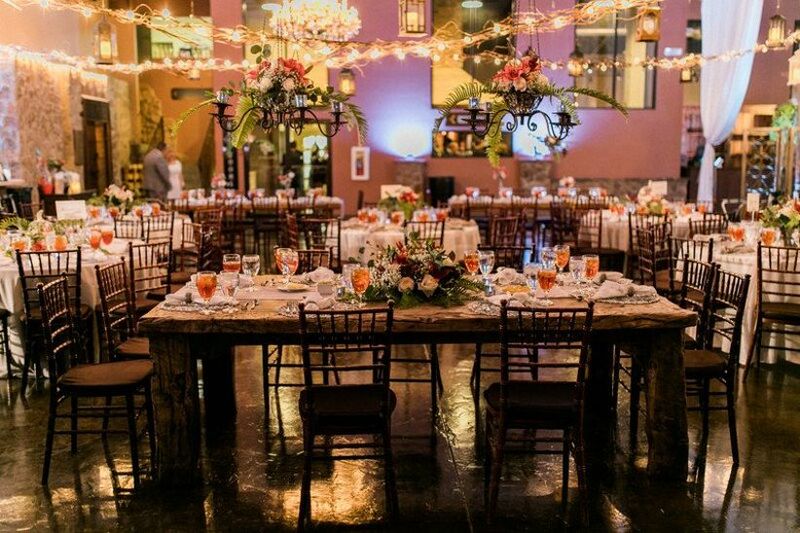 Scroll through these stand-out wedding venues in El Paso, TX to find your perfect match. 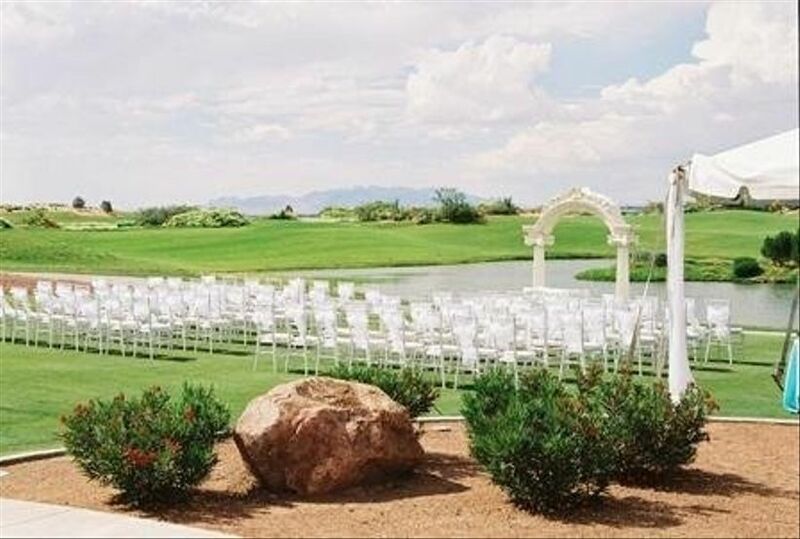 Traditional couples who want a wedding venue to match their elegant and timeless style will certainly want to consider Butterfield Trail Golf Club. 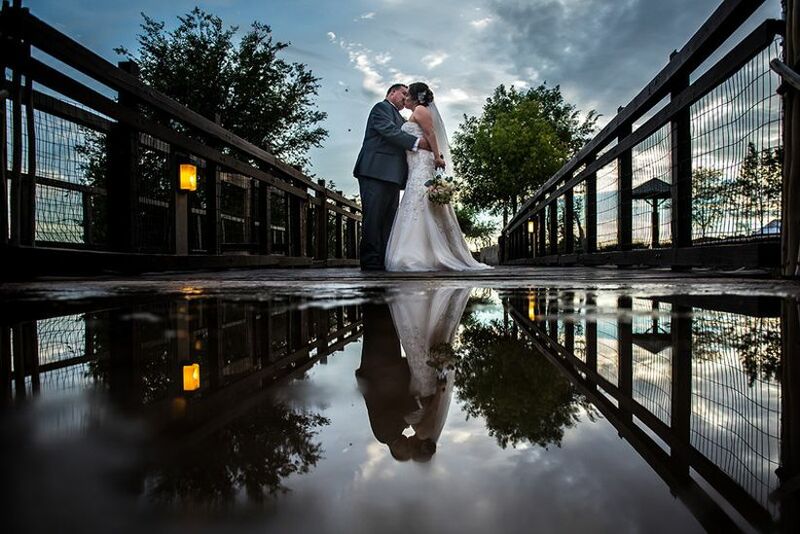 Conveniently located just near El Paso International Airport and Franklin Mountain State Park, this is an all-inclusive venue for a streamlined wedding day. 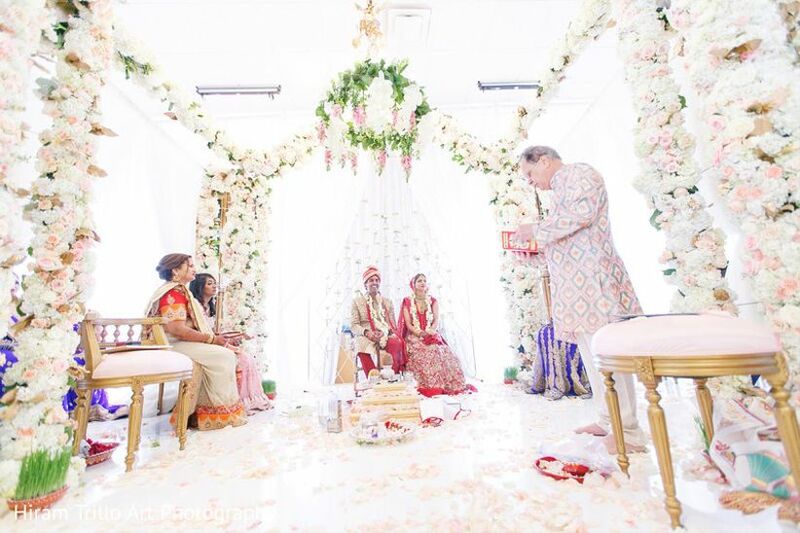 Outdoor ceremonies on the manicured lawns look out on the expansive greens and serene pond while indoor receptions at the club house overlook the golf course. Host up to 300 wedding guests at this spacious venue. 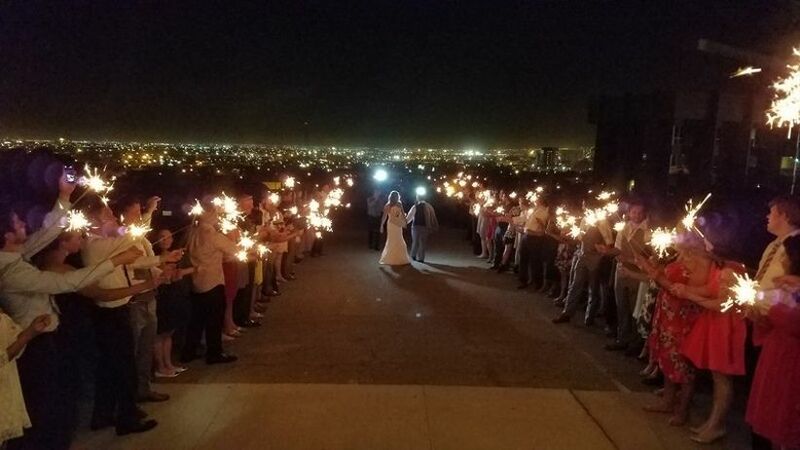 If you’re on the lookout for fun and unique wedding venues in El Paso, TX, the Zoo should be high on your list. 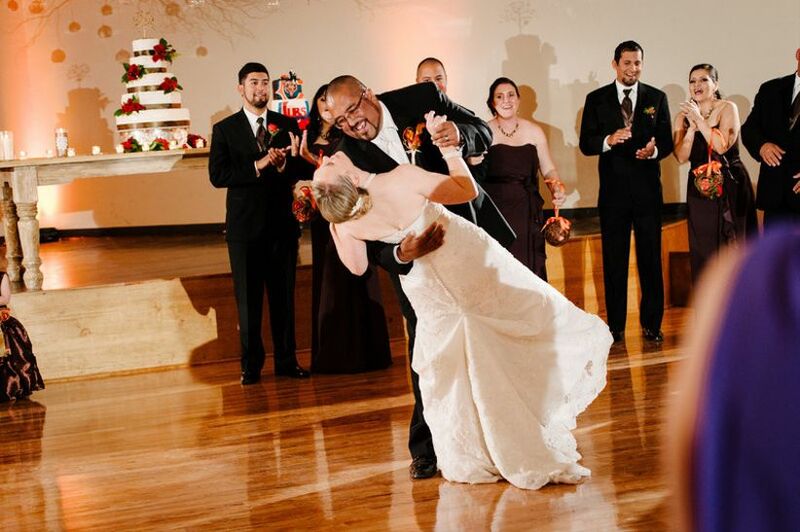 Situated in downtown El Paso, couples choose from four event spaces here, including a brand-new event pavilion that looks out at a zebra community and has the capacity to host 350 guests. Other event spaces here are indoor or outdoor, each offering fun viewing of the Zoo’s various wildlife. As an all-inclusive venue with staff event planners and catering, this venue is also a nice alternative to wedding halls in El Paso, TX. 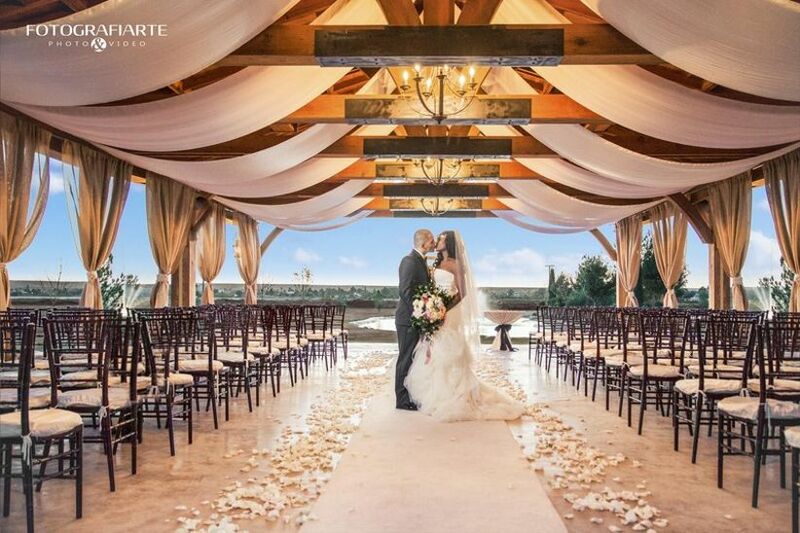 Create a truly personal wedding with 150 Sunset, a one-of-a-kind wedding venue in El Paso, TX. 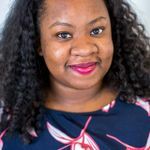 With an in-house chef, event planner with lighting and floral design experience, and modern audiovisual equipment, you won’t need to assemble a large wedding vendor team to pull off your vision here. Choose between four spaces at 150 Sunset, the largest accommodating up to 400 guests and the most intimate meant for no more than 60. All told, more than 8,000 square feet of indoor and outdoor event space is waiting for you to design the wedding of your dreams. If the idea of ending your wedding night with a glittering view of El Paso’s skyline, this is the venue for you. Situated in the foothills of the Franklin Mountains, the gorgeous perch is what gave Scenic View Ballroom its name. The indoor ballroom is spacious enough to host up to 500 guests and features floor-to-ceiling windows so guests can enjoy one of the most perfectly positioned wedding venues in El Paso, TX from all points. 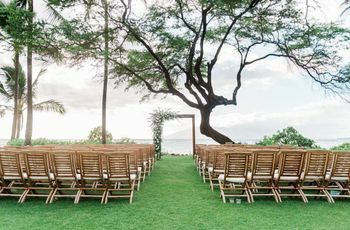 The outdoor area — and its famous views — is a popular wedding send-off location. Couples looking for wedding venues in El Paso, TX to match their glamorous style should look into SelaroM Events and Ballroom. The stunning ballroom that is the focal point of this venue features sleek, hardwood floors, elegant wooden furniture and Chiavari chairs to create a sophisticated ambiance. The sole event space is large enough to accommodate up to 250 guests. Head about 30 miles southeast of downtown to experience this wedding venue perched on the Hueco Mountains, just over a mile, or 5,700 feet, in the air. Mile High Hacienda is a charming bed-and-breakfast with both indoor and outdoor wedding venues that host between 50 and 100 guests. The outdoor patios are the smaller spaces with capacity for 50 guests and a 360-degree view of the El Paso/Juárez metropolitan area. Inside are two larger event rooms, plus five bedrooms, and a commercial kitchen for catering needs. 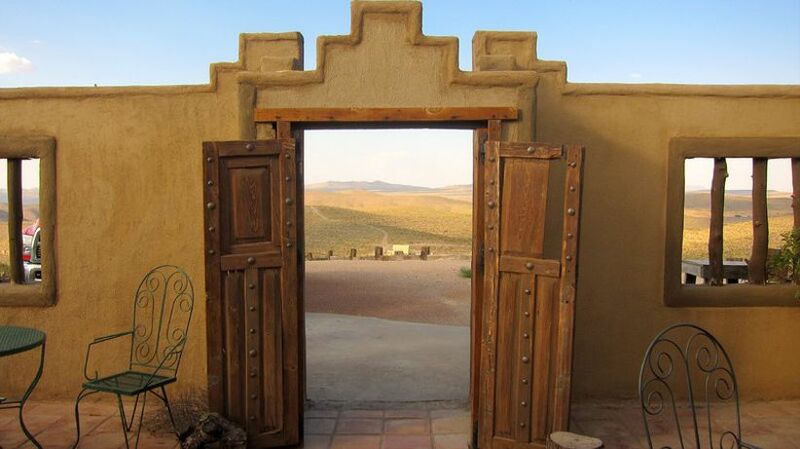 Among rustic wedding venues in El Paso, TX, Mile High Hacienda stands out with its claim to be the highest house in Texas — the perfect place to scope out those famous desert sunsets. This rustic wedding venue is a true chameleon, darting from minimal and modern to opulent and elegant according to a couple’s individual style. 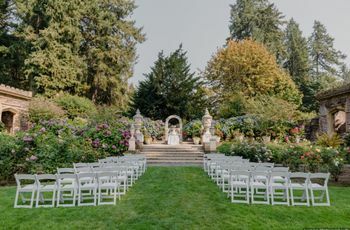 Couples with a variety of wedding aesthetics pulled off distinct wedding visions at Grace Gardens with the addition of florals, greenery, and drapery. These well-tended gardens offer up six event spaces, many outdoor, but a few indoor as well, that may accommodate up to 550 guests.